The goal of any restaurant operator is to drive repeat visits. Loyal customers tend to drive better margins and greater sales (while also providing some predictability to same store sales) and cost less to market to than new customers. When considering brand loyalty for foodservice operators, the 1980’s sitcom “Cheers” comes to mind, where characters met each evening at their favourite pub “where everybody knows your name”, or in other words, a place that fostered a sense of belonging. There is a lot to learn from this TV series as we look at driving brand loyalty and repeat visits for food service operators. Exploring the role “place” plays into fostering customer repeat visits, we will discuss strategies that go beyond the obvious of convenience driven by locality. We will explore new definitions of place and how they influence customer purchase decisions based on transformational work we have completed for such brands as DQ, Pizza Hut, Boston Pizza and Tim Hortons to name just a few. The ultimate question we will attempt to answer is: can a hospitality brand draw customers from greater distances more frequently than other offerings? This is the ultimate brand utopia, when customers are willing to drive past competing venues so that they can enjoy the experience from a specific operator. They will do this when the value proposition goes well beyond price, promotion and selection. These differentiating factors live in the emotional side of the customer decision process, which at its core is driven by desire and a need to be rewarded. Sense of Belonging: In my book “The Belonging Experience” I debunked the premise of Maslow’s hierarchy of needs, the foundation for how we perceived customers connection with brands as hierarchical. The reality based, on 30 years of fact-based observations, is that a sense of belonging is the pivotal factor that drives customers to select one location versus another. Engagement is not a progressive ladder where consumers navigate from one rung to the other. By nature humans crave company and social context and gravitate towards environments reflecting their self-image. This was supported by research we conducted in 2016 on the importance of creating a sense of belonging. Our work with Tim Hortons Coffee House clearly demonstrated that customers in urban settings viewed the brand quite differently than those in suburban settings, having been exposed to a wider variety of authentic specialty coffee houses. The Tim Hortons urban concept need to reflect a brand experience that gave Millennials permission to enjoy a Tim Hortons coffee without being judged by their colleagues. 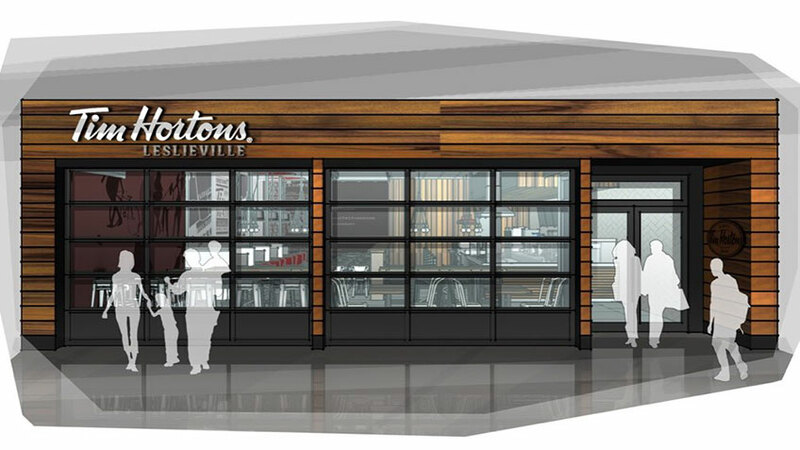 Recognition: When we worked on the reinvention of the Second Cup Café, both in Canada and globally working in 12 different countries, we conducted research to understand how we could drive preference for our client’s brand versus well-entrenched competitors. We learned that a key factor for customer preference was the importance of guest recognition. Coffee consumption is a habitual experience, a daily ritual or even at multiple points throughout the day. Having staff recognize repeat customers by remembering their preferred order and more importantly their first name, like the Cheers’ themeis one of the most effective factors in driving loyalty to a given location. However, it is also the hardest strategy to achieve with staff rotation and high churn rates in the hospitality. Chains such as Starbucks have realized the importance of customer recognition and work hard on staff retention programs to ensure low employee turnover. Rewarding Experience: This influencing factor goes beyond chain-wide loyalty programs, since these drive preference to a brand but not necessarily to a location. In the context of driving preference to a given location, operators need to consider additional strategies. Offering customers unexpected free products is one that has a huge impact on creating a strong sense of place. Offering high frequency customers an unexpected free coffee rewarding them for their loyalty or to celebrate their birthday has a dramatic impact on building loyalty to that given location, since the gift is from the staff to the customer and less about the brand to the customer. A great example is Chick-fil-A, which allows franchise managers to invite highly loyal customers to the “A-list”, a secret rewards program that is by invite only. Personalization: This idea goes beyond being able to customize a meal. Boston Pizza does a great job as a chain of providing a personal touch by celebrating the many sports teams that frequent their establishments. As you enter, digital signing allows individual locations to recognize the local team’s win and emblem celebrating a unique event. Specially designed Team Rooms were created to provide a space for celebratory groups to enjoy themselves, without disturbing couples and families wanting to enjoy an relaxing meal. Personalization can also be elevated through the role of the long-term bartender or restaurant host who can build a personal relationship akin to Sam Malone and Woody in Cheers – over time. Community Integrated: Restaurant chains do provide consistency and reliability as it revolves around their experience and food offering, but uniformity can detract from a sense of community, a critical element in building site-specific loyalty. In the case of Tim Hortons, we featured the name of the community as part of the exterior signing and within the interior we identified a large map of the community. This helped provide a consistent approach that leveraged the community itself to make each location feel unique. Location-based strategies play a critically important role in building brand preference and loyalty. It allows customers to get more than a chain experience with their preferred brand, while allowing them to choose a given location that meets their emotional needs. It’s important to remind ourselves that more than 80 percent of all buying decisions are based on emotions, and having a strong sense of place is a key factor in meeting these needs.